magical views on the west coast! Pet friendly by prior arrangement. Large gourmet kitchen, big patio with bbq, and hot tub. 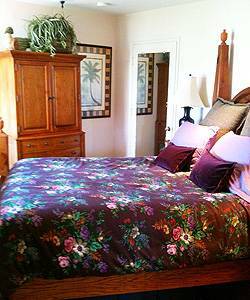 New guest house with queen bed, full kitchen and bath. 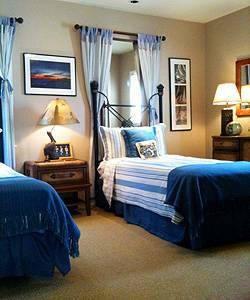 Lots of thoughtful special touches, Ralph Lauren linens, antiques, fine china, books, childrens movies, beach toys, beach towels etc. Magical Oasis is a very special vacation home. Pet friendly by prior arrangement. 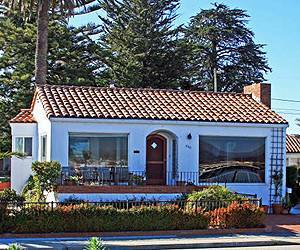 This beautiful little spanish villa is walking distance from the Santa Cruz Boardwalk's famous Ferris Wheel, the mark Abbot Memorial Light House and the Santa Cruz Surfing Museum. The Adventurous can take a ride on the Roaring Camp Railroads, bike along West Cliff, see a Shakespeare Santa Cruz play, and visit the Seymour Marine Discovery Center. Mid to advanced level surfers can walk down the steps to Steamer Lane. The novice surfer can hit Cowell’s Cove, try paddle boarding around the Wharf then relax in Magical Oasis’ hot tub. 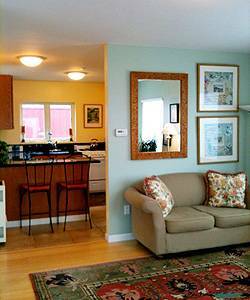 Guest enjoy dining in the formal dinning room watching the sunset, barbecuing on the patio, a picnic on the beach, and walking or biking to near by restaurants. For that special occasion, dine at the famous Shadowbrook or historic Hollins House restaurants. Golfers can play on the challenging Alister MacKensie designed Pasatiempo Golf Course. 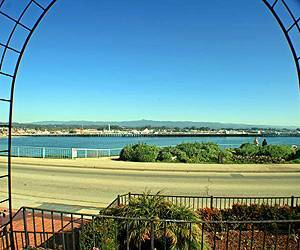 Downtown Santa Cruz has great shopping, spas, restaurants, and that comfortable beach town feel. People watching is a favorite past time of many regular guests. Magical Oasis is a special vacation home with one of the most spectacular, magical views on the West Coast. I've stayed in this home quite a few times and we absolutely love it! The owner, Ed, is so accomodating and such a pleasant person to talk to. 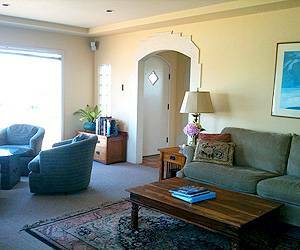 The house sits on West Cliff which overlooks the Santa Cruz Beach Boardwalk and pier, and is walking distance to the Lighthouse. 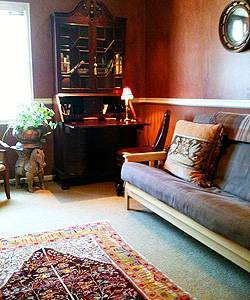 The house is beautifully maintained, and the in-law set up in the back is practically brand new, with all the amenities. Right outside the backdoor is a wonderful hot tub, which we used quite a bit after spending all our time at the beach. During the summer, you can hear the Friday Night Bands from the front porch, which makes for an entertaining evening on those warm summer nights. 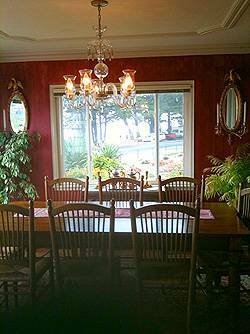 I would highly recommend this home to anyone interested in spending a lovely and relaxing week in Santa Cruz! My family and I stayed here.. and we have great memories!!! The owner of the place ia a great guy. We would love to go back soon! My husband and I give it 2 thumbs up!!! Beautiful house , location, etc thoroughly recommend the property. Weekdays during off season discounted. Please contact us to help you plan your special vacation. Deposit: $500 Fully-Refundable if no damage.